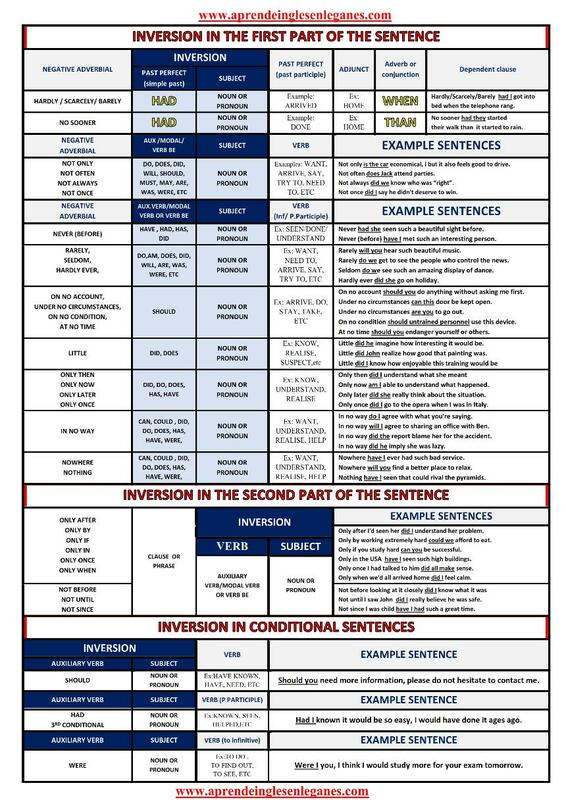 This useful table will help you learn the correct structure for inverted sentences. In formal and literary styles, the subject and auxiliary are inverted when negative adverbials are placed at the beginning of the sentence for rhetorical effect.There are different types of negative adverbials, such as “on no account”, “never”,”no sooner”,“hardly”, “only after”, “only when” ,etc. While some of them take the inversion in the first part of the sentence, others do so in the second part. Using this table, you will see at a glance when to use which onewithout having to refer to any other book.